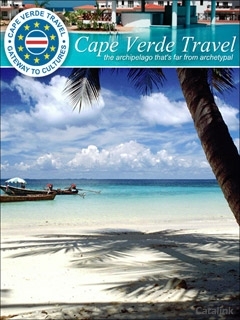 To order a printed copy of the Cape Verde Travel brochure, simply click the Request button below. Cape Verde Travel arrange unforgettable escorted tours to an indescribable location – 9 small islands to the west of Africa which will set the scene for your perfect adventure. This almost undiscovered location ensures you can enjoy stunning beaches, authentic culture and unspoilt natural views away from tourist crowds. All in the safety and security of an escorted tour which offers a personal experience from specialist local experts. With glittering waters, immersive tours and a thriving coast to explore, you'll never run out of places to explore. Order the Cape Verde brochure now for escorted tours to a beach paradise. Find your perfect holiday all year round with unbeatable package offers and savings from <i>The Holiday Place</i>. Sign up to deals and offers to help you get away more often and for less. Imaginative Traveller specialises in authentic, affordable adventures that offer you the chance to fully experience the true heart of a country. If you are looking to discover some of the worlds most incredible places and want a holiday youll be talking about for years to come, go there as an Imaginative Traveller. By pressing the Request Printed Brochure button you give consent to Cape Verde Travel (and their Data Processors for the specific purpose of delivering your literature) to send you their Brochure .